What are signs and symptoms of Sever condition? How do health care professionals diagnose Sever condition? What is the treatment for Sever condition? What is the prognosis of Sever condition? How long does it last? 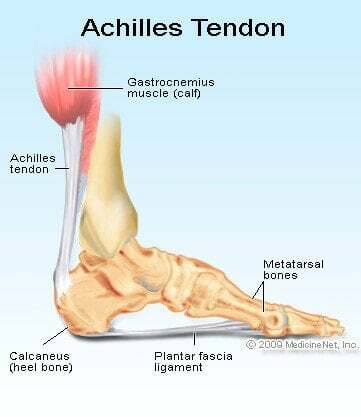 Sever condition is caused by sprain injury where the Achilles tendon attaches to the calcaneus bone at the back of the heel. Sever condition occurs in adolescent or older children, particularly active boys. It can be very painful. It is one of those conditions commonly referred to as "growing pains." Patients are evaluated for signs of conditions that can mimic Sever condition, such as ankylosing spondylitis and other forms of arthritis. Usually Sever condition is self-limited; that is, it disappears as the child ages. When the condition flares, it is treated with activity limitation, medication to reduce inflammation (such as ibuprofen [Advil] or naproxen [Aleve]), shoe inserts, heel lifts, cold packs, and sometimes casting when it becomes especially severe. Sever condition is generally a self-limited problem that usually improves within a year. What were your symptoms associated with Sever condition? At what age did your symptoms appear? What forms of treatment have you tried for Sever condition? Does the condition still bother you?